Don't Let Wet Carpets Ruin Your Home. Get Carpet Drying Help in 45 Minutes! Do you have wet carpets in your home from a flood or leak? Call Regent Restoration for professional wet carpet drying services. Using state-of-the-art equipment, we'll completely extract water from your flooded carpets, dry them, and remove contaminants from the fibers. Our carpet restoration techs are available 24/7 to provide carpet drying and water damage repair services. "Worried about having smelly carpets? We can dry them!" We're a full-service water damage restoration and carpet drying company that serves the entire Dallas/Fort Worth metroplex. We guarantee we'll respond to your water damage emergency within 45 minutes. If your home is flooded it's important to call a water extraction company immediately to prevent mold growth and stop water damage from taking hold. When we arrive on the scene, we'll quickly remove water, dry your carpet, and repair any water damage. When we arrive at your property, the first thing we'll do is provide you with a free 360-degree visual inspection. This means we survey the entire property, from top to bottom, to spot any signs of water damage. Then we’ll immediately begin the carpet drying and restoration process. Identify the source of your water damage or leak and stop it. Move or store furniture in a dry area to prevent further water damage. Use industrial-grade water extraction vacuums to remove water from your carpet or rug. Create a quick carpet drying process using high-powered fans and dehumidifiers. 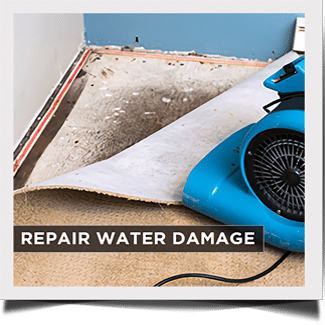 Repair all water-damaged carpets and flooring. Spray anti-microbial spray to prevent mold from growing. There’s nothing worse than feeling the squish of a soggy carpet on your feet. With our quick response times and high-tech drying equipment, we can have your carpet or flooring dried within hours. At Regent Restoration, we believe in treating your home like our home. By using leading drying technology, we are able to get your home back to pre-loss condition very fast. We use powerful fans to expedite the carpet drying process, water extraction vacuums to remove the water, and air scrubbers to remove contaminants that are released into the air from the carpet after cleaning. If the water spread to your wood floors, we’ll use our high-tech mat drying systems that are non-invasive and can quickly dry your wood floors without causing further damage. Do you have water all over your floor due to a leaking washing machine, water heater, air conditioner or other appliance? We can dry any kind of flooring, whether it's carpet, wood floors, concrete, or tile, we've got your drying needs covered. We promise we won't pull the rug out from underneath you. We'll always provide you with a completely free carpet drying estimate and inform you of what your best options are. Our technicians will also come to your home and inspect your wet carpets completely free of charge. Our water damage professionals use specialized equipment, such as Infrared cameras and moisture meters, to inspect the water damage that could be hiding underneath carpet padding and subflooring. We're one of the best carpet drying companies in the Dallas & Ft. Worth area— and there’s a reason for that. Free Water Damage Estimates and Visual Inspections. Our carpet drying professionals are certified by the Institute of Inspection, Cleaning, and Restoration (IICRC). This means our techs have undergone extensive training and are required to follow the highest cleaning and restoration standards. We guarantee we'll return your carpets back to pre-water damage conditions or better. Call us now at (214) 731-4624 for carpet drying done right every time. Regent Restoration services Dallas, Fort Worth, Denton, Irving, Plano, Frisco, Lewisville, McKinney and surrounding cities and areas in Dallas, Collin, Denton & Tarrant counties. To find service for your city, view our Service Area page. We service the entire Dallas-Fort Worth Metroplex. Most homeowners can handle a small spill, but after your home floods, carpet drying is no longer a DIY job. If your carpet is cleaned or dried improperly it can void the warranty. There's also your health risks from mildew to consider. The only thing mold needs to grow is moisture and organic material A.K.A. your wet carpet. Since we spend the majority of our time indoors, it’s important to breathe in air that’s pollutant and mildew free. Depending on the source of the water damage (i.e. a flood or a sewage backup), carpets can also become a breeding ground for disease-causing bacteria. Our water restoration professionals will completely extract the water from your carpet and remove any contaminants trapped in the fibers.